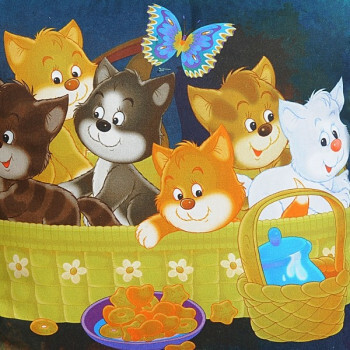 A place where everyone lives with harmony, peace, brotherhood and love is the best place to stay. This is the moral every kid deserves to know. 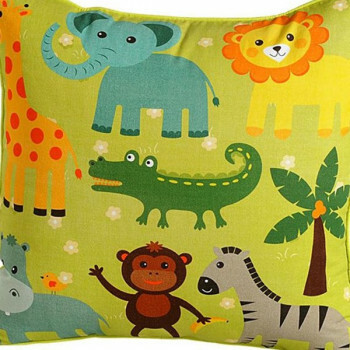 And our Jungle Kids Cushion Cover proves it all. 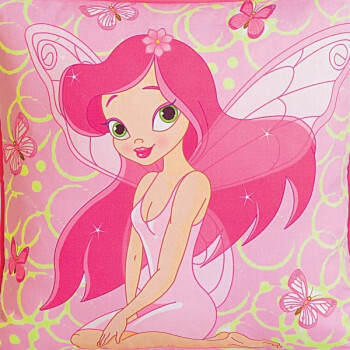 Give your princess a lovely surprise with this Fairy Kids Cushion Cover. 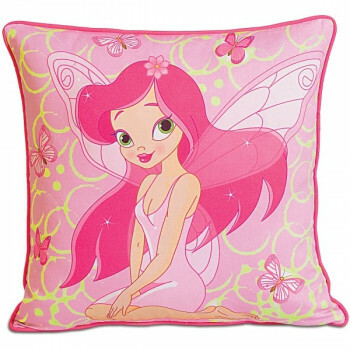 Attractive pink color and the beautiful fairy with mesmerizing feathers & eyes is so scintillating that your little one will never let it go. 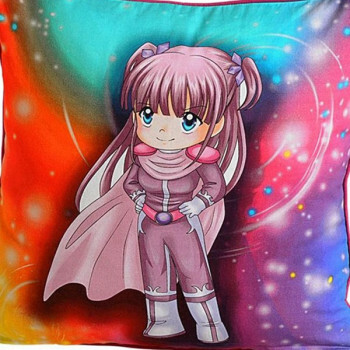 As parents, we always tell our kids fairy tales and now she has this fairy in her room on her bed. Here’s a fun way to learn. 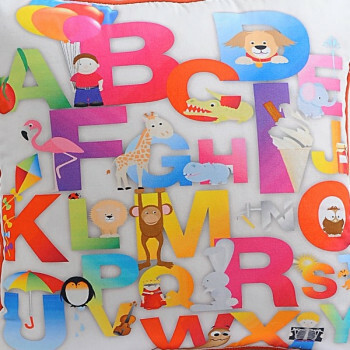 Colorful alphabets, balloons, birds, animals and other amazing figures to sweep your young one’s from their feet. 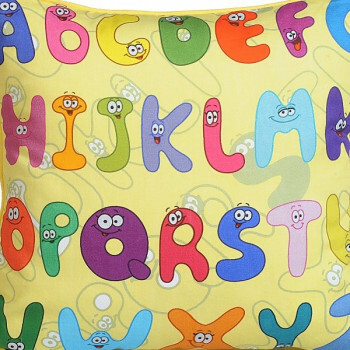 This Balloon Alpha Kids Cushion Cover is surely a great piece of comfort & learning for your kid. Give fun a new definition & make every experience of your child as cute as he himself. 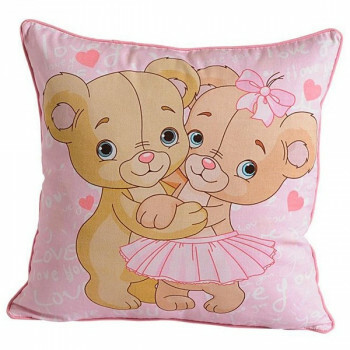 You can easily create the magic with this Dancing Teddy Kids Cushion Cover. 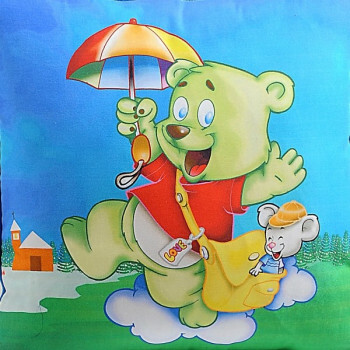 Cute fat teddy with mouse in his satchel is lovely. 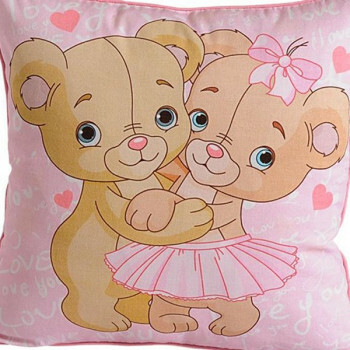 The first love of every kid, yeah right teddy bear. 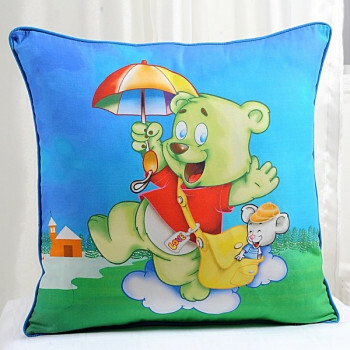 So, gift your baby boy or girl Teddy Kids Cushion Cover. 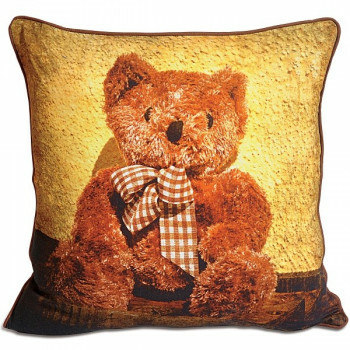 Brown in color and so full of fur, the teddy in the print looks as cute as a chubby baby. 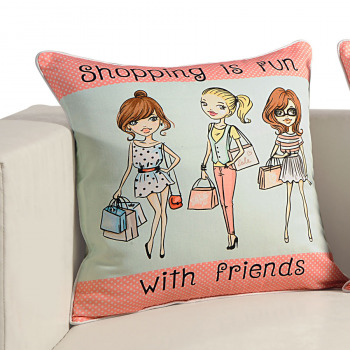 Digitally printed, this cushion cover is made up of pure cotton & is highly mercerized. 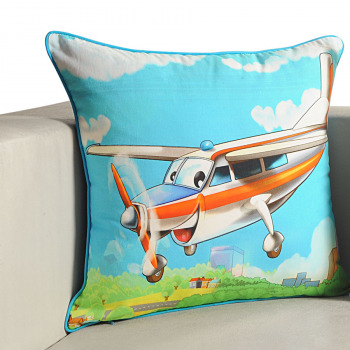 Fly high with the finest dreams of your child. 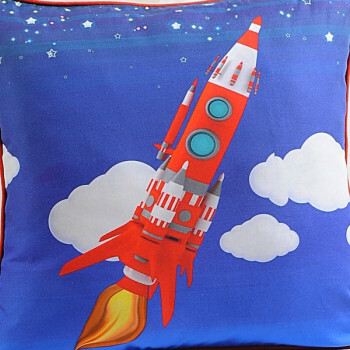 Buy Rocket Kids Cushion Cover, Cotton Cushion Covers from our highly secure online selling portal swayamindia.com. 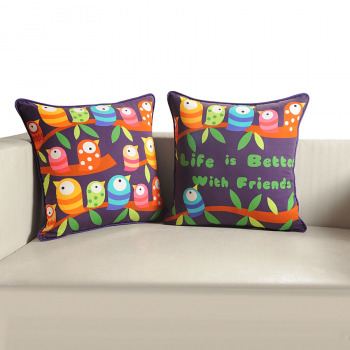 Designed for the young eyes, there is use of vibrant colors in abundance. Create a sacred sanctity for your kid as he experiences wildlife at its best, with a picturesque view of animals and chirping birds. 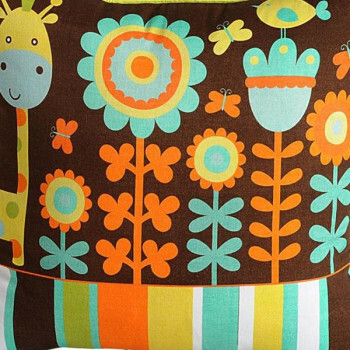 Let him get engrossed in the unique patterns and prints offered by the cushion covers in different colors. Feathered, winged, perched, flying- they look good in any stance. Here we are talking about the colorful birds. 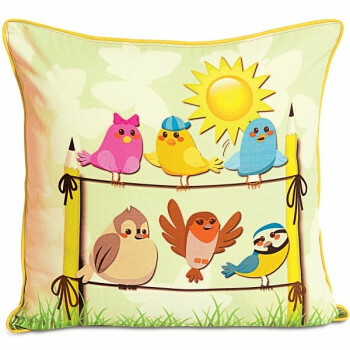 Bring on the cookoo of these beautiful angels with Small Birds Kids Cushion Cover. The sunshine brought on the face of your loved one will be million dollar. 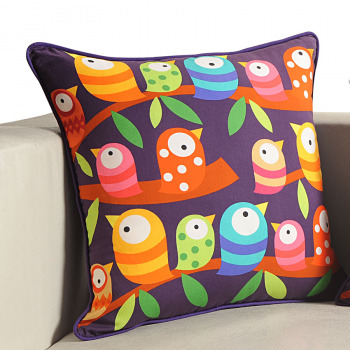 Bring on the colors of acute brightness with this Colorful Birds Kids Cushion Cover. Zoomed in images of these birds create a cool and funky impression. 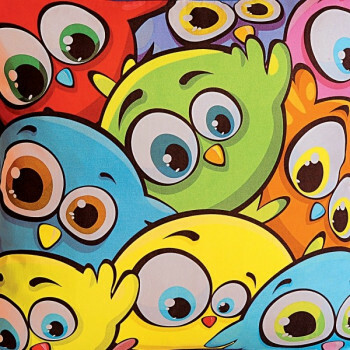 The big popping eyes are so cute and lovely that the kids will laugh at every gaze. 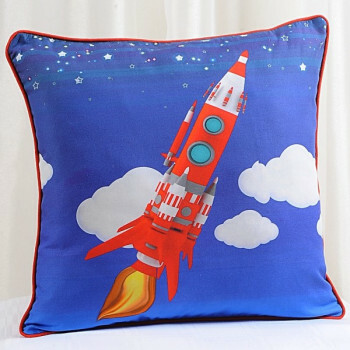 Remember the days when you used to cradle your tiny bundle of joy to sleep, feel those memories suddenly resurfacing as you gaze on these beautifully printed cushion covers. 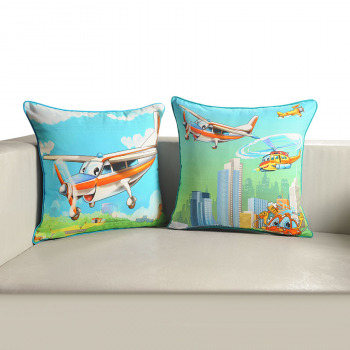 Hold time and cherish your little ones childhood as you see him joyfully playing with these cushion covers and imitating it to be his ride. 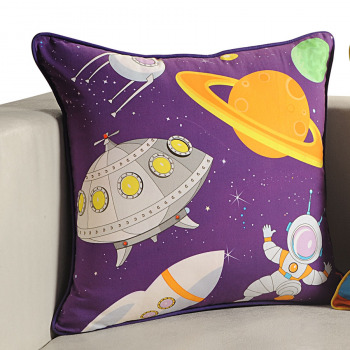 Let you child space travel between galaxies and cover enormous distances between infinity and beyond. 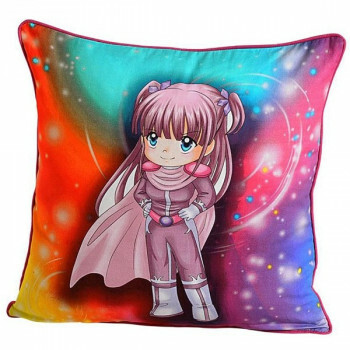 Encourage your little princess you see a world different from the doll house and unicorn, see how she get involved in the intergalactic world with these unique kids cushion covers. 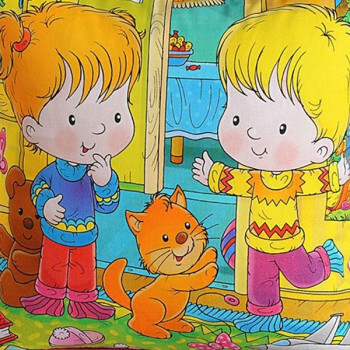 Ever since we grew up there has been one toy which has proved to be a soul mate for all the young ones, can you guess who that is. 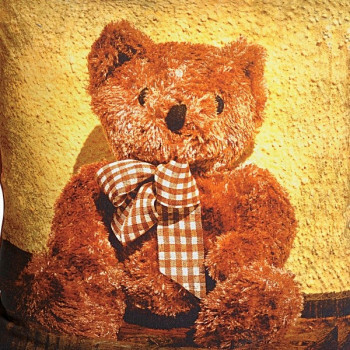 Yes it’s the lovely oh so adorable teddy bear, let your child also feel the lovely feeling of owning one, but in a unique way. Stop and stare into the wilderness as you come in close contact with nature and what all it has to offer your child. 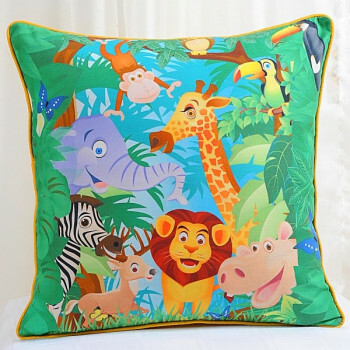 Let your tiny tot develop a sense of connectivity with the wild side of nature, as he gets introduced to them in an imaginative way. 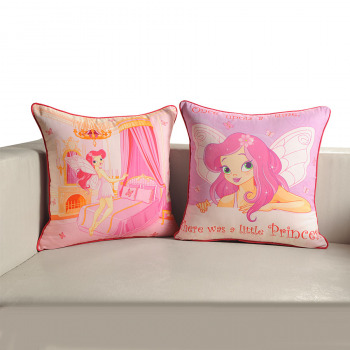 With a touch of femininity and a dab of sprinkling magic light up the entire aura of your little girl as you introduce her to these cushion covers. 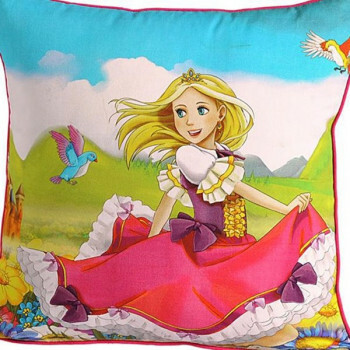 See her as she tries to be a princess in her own castle, overwhelmed by the joy of these pretty cushion covers. 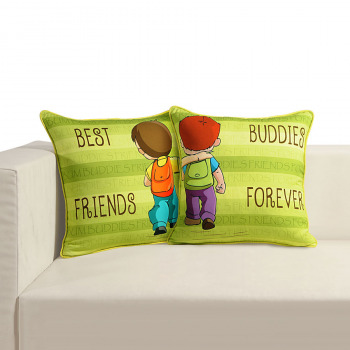 Savor the memorable moments of your child’s childhood as you reminiscent his play dates with his friends and remember all the good time he had. 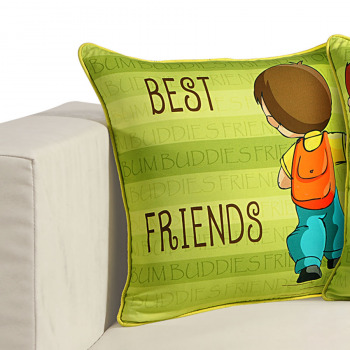 Give your child’s room a grand makeover with elements that enhance his growing up years and further create a memory. 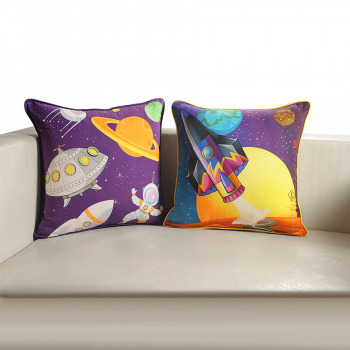 Redefine the way your child looks at his room with these trendy and edgy cushion covers. Give your child the opportunity to look beyond the walls of his room and explore the beauty of nature. See how he engages himself with nature and associates a deep sense of connection with wildlife. Invoke a sense of love and affection for animals and Mother Nature. 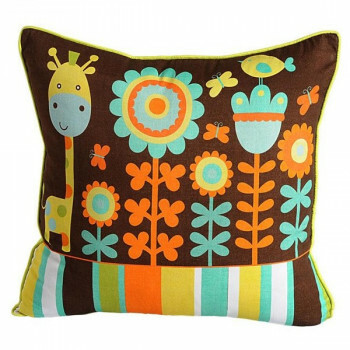 Buy giraffe kids cushion covers from our online website Swayamindia.com at an affordable price. Here comes a new way of learning. Yes, now it’s practical! 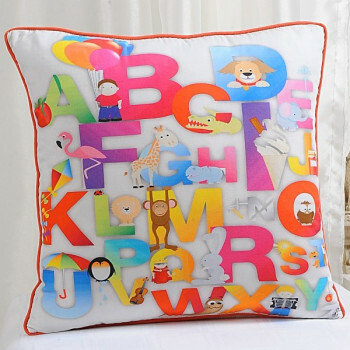 Make the first words of your kid intelligent with Alphabets Kids Cushion Cover. 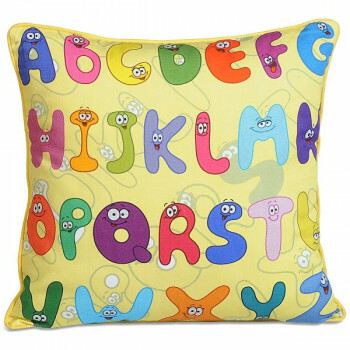 Where every letter is a cute learning. 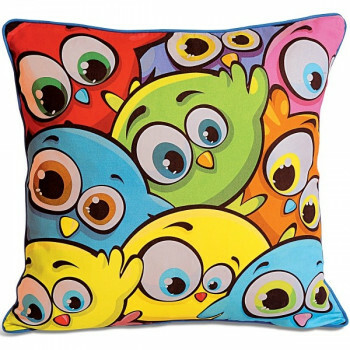 This cushion cover is made up of pure cotton and is 100% color fast. 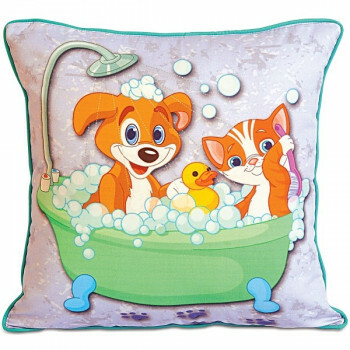 Inspire your kid to have a bubble bath with his favorite toys with this Bath Kids Cushion Cover. 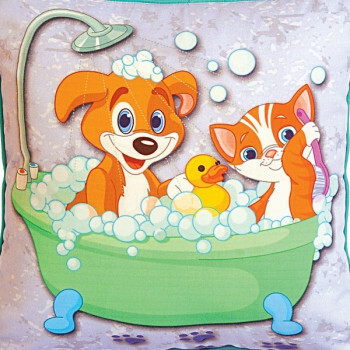 Especially designed to make shower time fun & frolic, this cushion cover is digitally printed and has lovely multiple colors. There is aqua pipe-in at the four corners to add on to the experience. 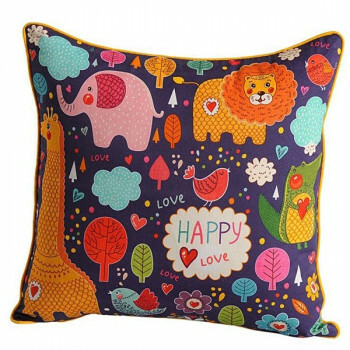 Set the happy moods with this Lino Zora kids cushion cover. 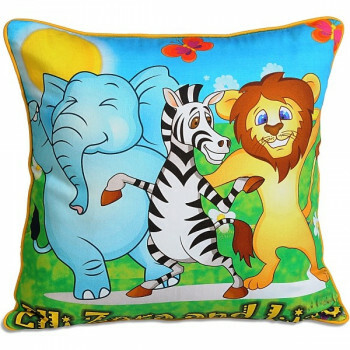 The dancing animals look as cute as the would be room of your kid which will turn into a blissful and funky place with this cushion cover. 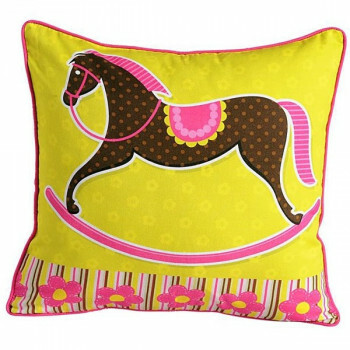 The pretty harmony exuding from the design is a delight. 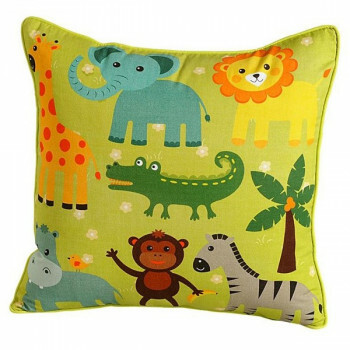 Go on a peppy & informative jungle safari with your kid with this Lil Friends Kids Cushion Cover. 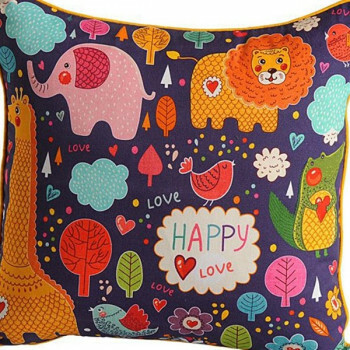 It represents jungle as a happy family unit with a variety of animals living happily together. Not only animals but birds, flora & fauna as well. This club can be a best buddy for your baby. 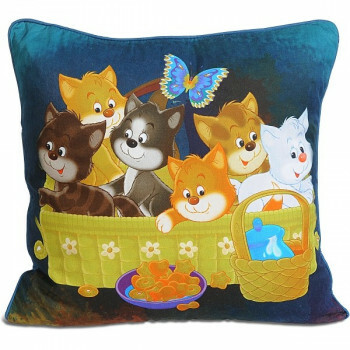 Bring a smile to your kid’s face and enjoy seeing those happy gestures with Kittens Kids Cushion Cover. 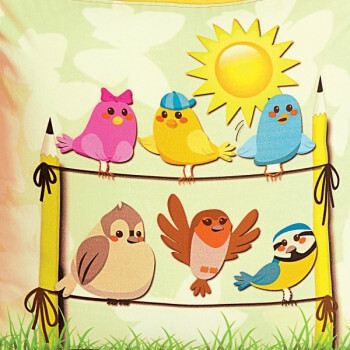 Extremely cute, it will be a definite attraction and can be even a toy for your kid. 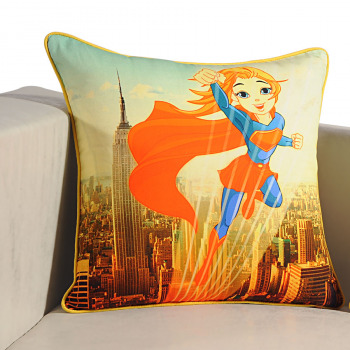 This cushion cover is made up of pure cotton and has digital prints. 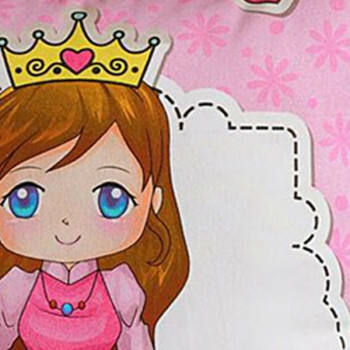 Always dreamed of the being the story tale princess whenever you came across bedtime stories. 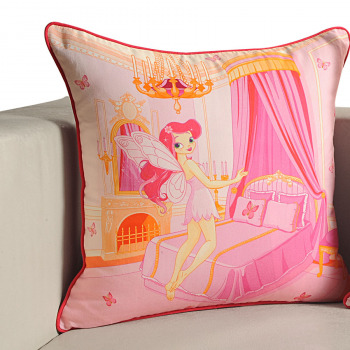 Well you could not live the princess dream but don’t keep your little girl wanting for more. 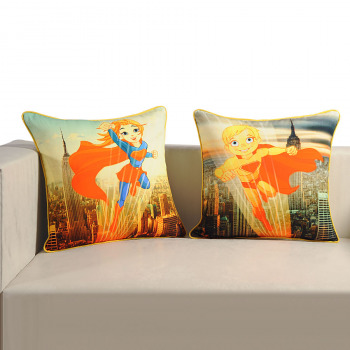 Give her the memorable childhood you could not enjoy. 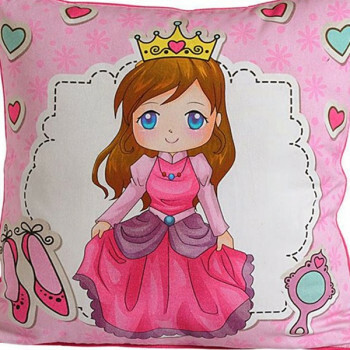 Buy princess kids cushion covers from our online website Swayamindia.com and let her cherish the beautiful moments of her innocent childhood. 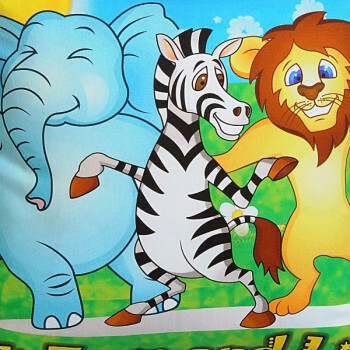 Kids love to have fun, they are always bubbly and jumpy too which is why we have designed something that will suit their mood. 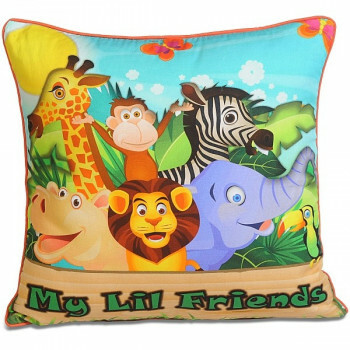 Alphabets, numbers, mermaids, fairies and jungle animals are some of our great prints on the covers. They are all bright and energizing, all covers digitally printed and 100% color fast. 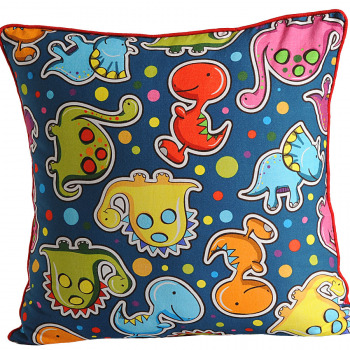 Keeping in mind the tenderness of the kids, these cushion covers are 100% cotton and skin-friendly too. 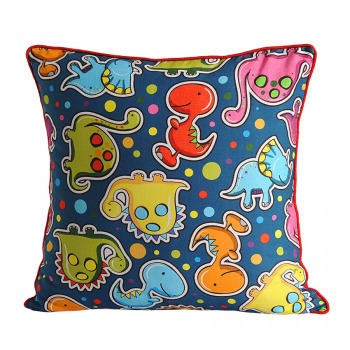 Prep up your kid’s bed with our Kids Cushion Cover, and make it stylish. 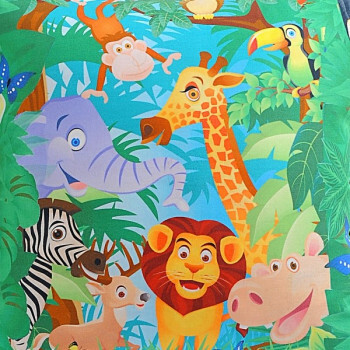 The covers are colorful and cooling as well, a good start for your kid towards a bright day, don’t you think so? 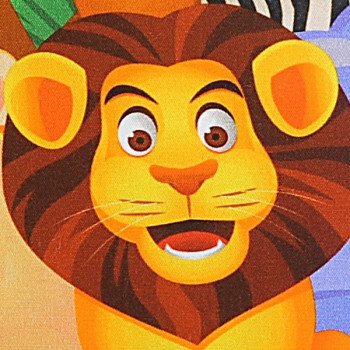 And oh! 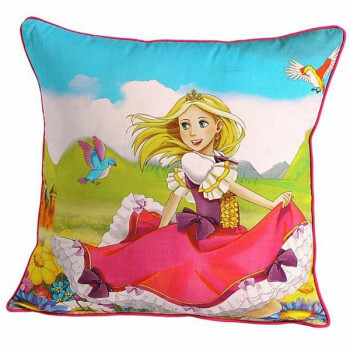 If you are running out of bedtime stories, you can always look at our cushion cover and narrate the story. 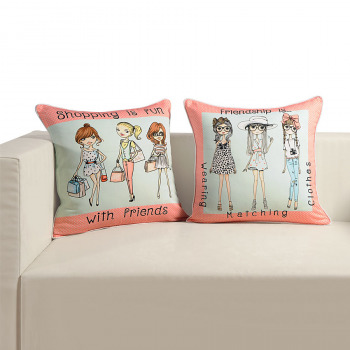 Each of our cushion cover has a story of its own. 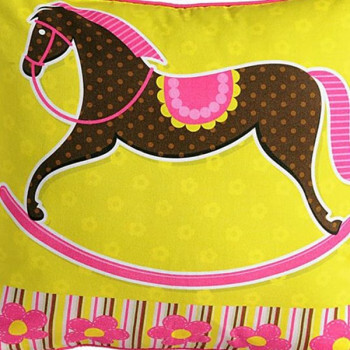 With zippers on the cover, you can always change the filler, or yes you can buy more cushion covers and fill the room with cuteness. As your kids eyes brighten up with gratitude, enjoy this million dollar moment. 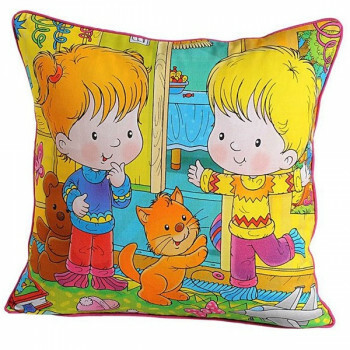 You can buy our Kids Cushion cover at our online selling portal www.swayamindia.com, anytime.